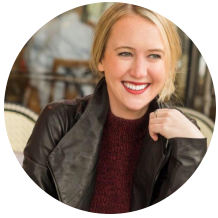 Meghan Donovan is a public relations and marketing consultant in New York City with ten years of experience working on some of the world's most well known brands in consumer product goods, beauty & travel. Her expertise lies in strategic thinking, creative planning, media relations and influencer marketing. Meghan has previously worked on clients including P&G, Virgin America, Clarisonic, KMS California, PayPal and Ford Motors. Additionally, Meghan pens Wit & Whimsy, a lifestyle site established in 2006 that reaches thousands of engaged readers per month interested in style, beauty, travel and home.